Plans have been submitted for Scotland’s first whisky distillery that puts the visitor experience at the heart of its operation. The Holyrood Park distillery and visitors' centre is expected to boost whisky tourism in Edinburgh. Newmake Ltd, a company operated by former Macallan master distiller David Robertson, has submitted plans to the City of Edinburgh Council to transform the Engine Shed in Edinburgh into a visitor attraction and distillery. 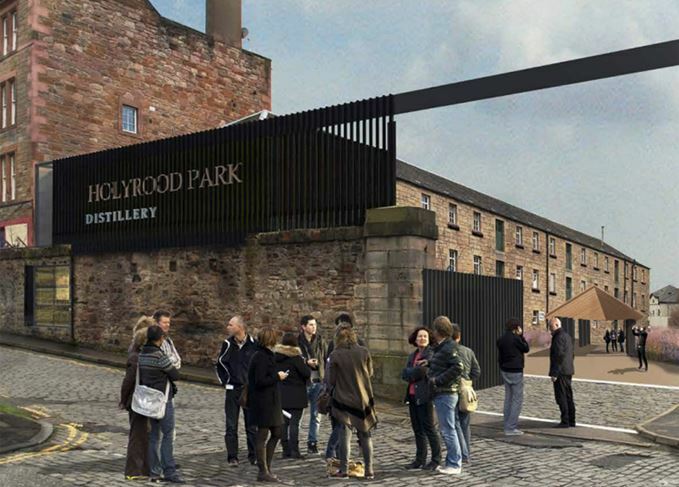 However unlike other distilleries, Holyrood Park Distillery will prioritise business from the visitor experience rather than from the 100,000 litres of Scotch whisky it will produce a year. Nevertheless, if planning permission is granted then Holyrood Park will become the first to produce malt whisky in the city since 1925. He added that as well as incorporating a full visitors’ centre and educational facility, tasting room and retail shop, the distillery has been designed to allow visitors to ‘look in vessels, see pipes, see stuff going through pipes and give them as rich an experience as possible’. ‘It’s not a production site with visitors being invited; it’s actually a visitor centre attraction with a distillery built in,’ he added. Newmake secured the lease for the Georgian building on St. Leonard’s Lane from City Edinburgh City Council in August last year and has since consulted on plans with local residents and businesses to shape the venture. Following the consultation and to avoid disruption in the area, Robertson confirmed the group is in discussions to secure a second site ‘15-20 minutes away’ where Holyrood Park’s malt storage, milling, maturation and bottling operations would be based. The undisclosed site will also feature a working cooperage and host VIP tours. Robertson said Newmake’s aim is to reduce the level of heavy goods traffic around the distillery, which is situated on a thin, quiet lane. ‘The lane is tight and cars are parked often either side meaning HGVs can’t get down,’ he said. The group is also working with bus companies to develop a tourist bus route that includes a stop at Holyrood Park in an effort to further reduce traffic and parking in the area. Visitors who arrive by public transport will be eligible for a discount on the entry fee. Pending planning approval, Robertson expects the distillery to be up and running by late summer 2017. The distillery will have the capability to produce malt whisky of a variety of styles, thanks to the installation of both shell and tube condensers and worm tubs, and the use of different styles of brewing malts such as chocolate, coffee and roast. It will also feature an experimental ‘Skunk Works’ still – named after engineer Lockheed Martin’s own experimental arm – to produce neutral spirit for vodka, gin and liqueurs. Holyrood Park distillery will eventually employ 25 members of staff, with the majority dedicated to manning the visitor’s centre.